Front: In the central part, an image of a warrior of Attila army, riding a horse and shooting a bow. On the left side of the warrior, the State Emblem of the Republic of Kazkhstan. 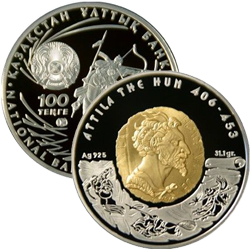 Under the Emblem, a nominal value, 100 Tenge. Under the warrior, on the right side, a year of issue, 2008. 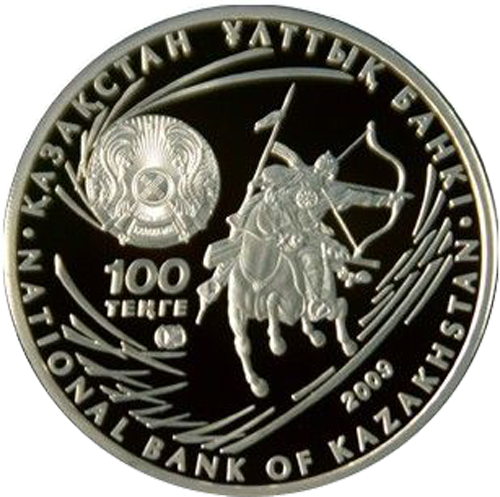 Along the edge, a semicircular inscription in Kazakh and English languages: NATIONAL BANK OF KAZKHSTAN. 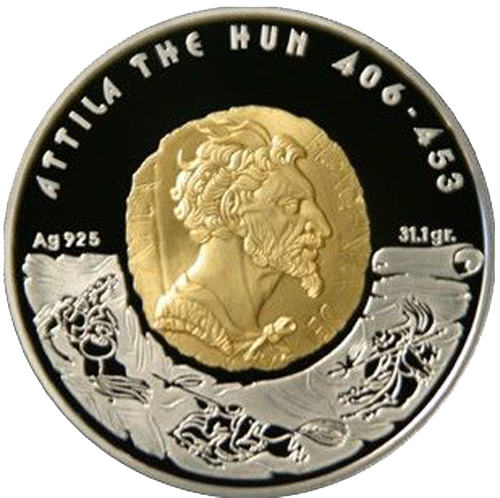 Back: In the central part, a gliding bust of Attila At the top, along the edge, a semicircular inscription: ATTILA THE HUN 406-453 Below, along the edge: stylized scroll with images of warriors.